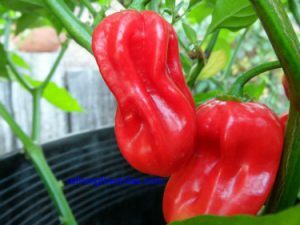 San Pedro Sweet-(Capsicum annuum)-The story behind the San Pedro sweet pepper is that it comes from my friend Lee who lives close to San Pedro. San Pedro is just a few miles southeast of Espanola and is considered to be part of southern Espanola. But where did Lee get the seeds from? Lee obtained the seeds from his longtime old friend Arlen Givens. 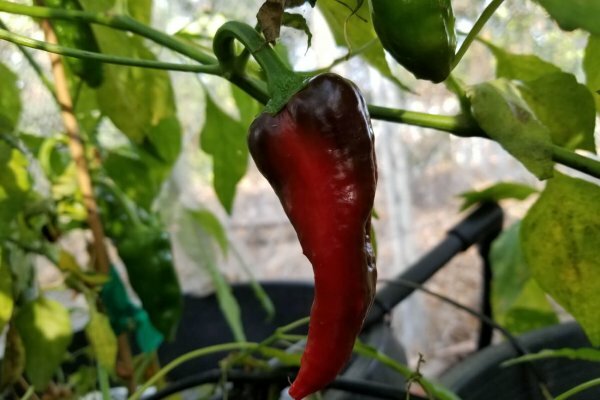 Arlin had been growing this Native chile since the early 1960’s. Arlen was a lover of chiles and was known around town for the pair of crazy giant Tortoises he kept on his property that kept chasing each other around. He found them many years ago at the Nevada test site. So we know that Arlin had been growing these San Pedro Sweet for 50 years or more. But he has since passed away so we cannot ask him where he got them. 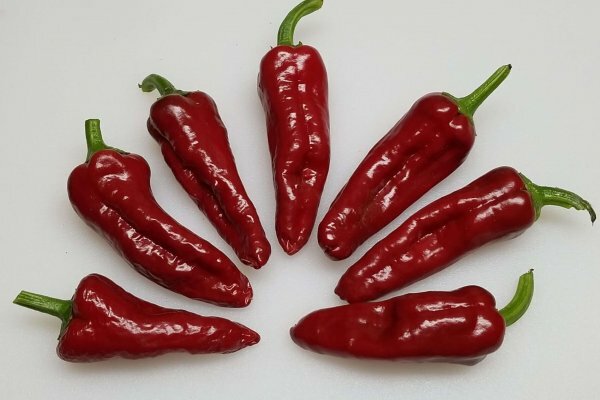 The San Pedro sweet has a nice heat level but is very sweet compared to other Native New Mexican chiles. 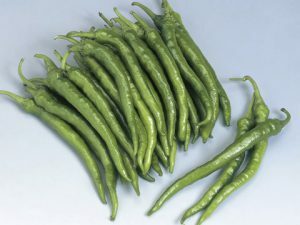 The San Pedro Sweet can be use for stuffing or even chile rellenos when green. Its great for salads, sauces or dried seasoning when red. 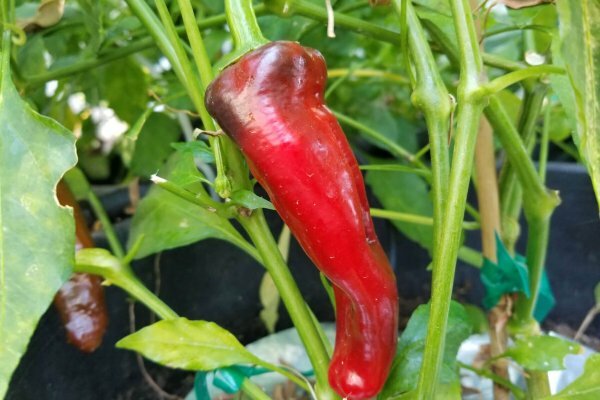 The peppers ripen from green to red and are 3 to 5 inches long. 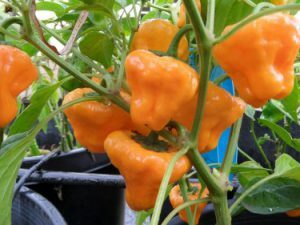 The San Pedro Sweet chile plants are very viny and will need caging or staking. 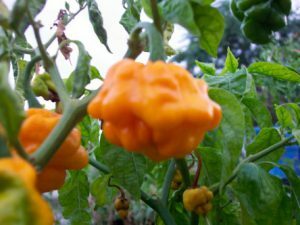 The story behind the San Pedro sweet pepper is that it comes from my friend Lee who lives close to San Pedro. San Pedro is just a few miles southeast of Espanola and is considered to be part of southern Espanola. But where did Lee get the seeds from? Lee obtained the seeds from his longtime old friend Arlen Givens. Arlin had been growing this Native chile since the early 1960’s. Arlen was a lover of chiles and was known around town for the pair of crazy giant Tortoises he kept on his property that kept chasing each other around. He found them many years ago at the Nevada test site. So we know that Arlin had been growing these San Pedro Sweet for 50 years or more. But he has since passed away so we cannot ask him where he got them. 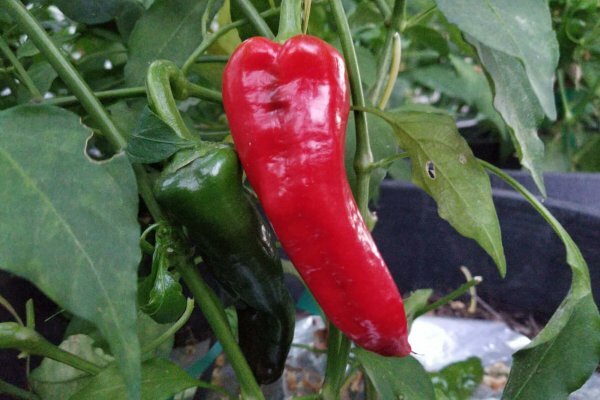 The San Pedro sweet has a nice heat level but is very sweet compared to other Native New Mexican chiles. 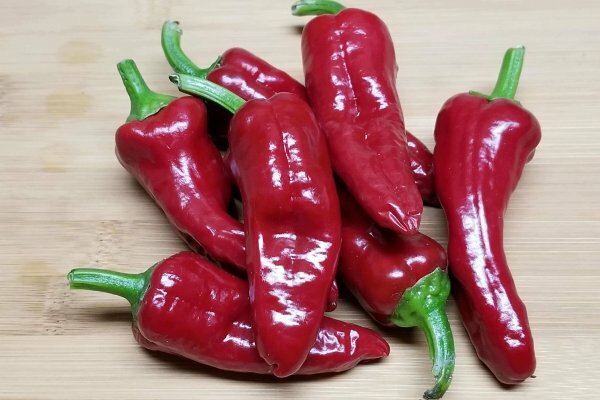 The San Pedro Sweet can be use for stuffing or even chile rellenos when green. Its great for salads, sauces or dried seasoning when red. 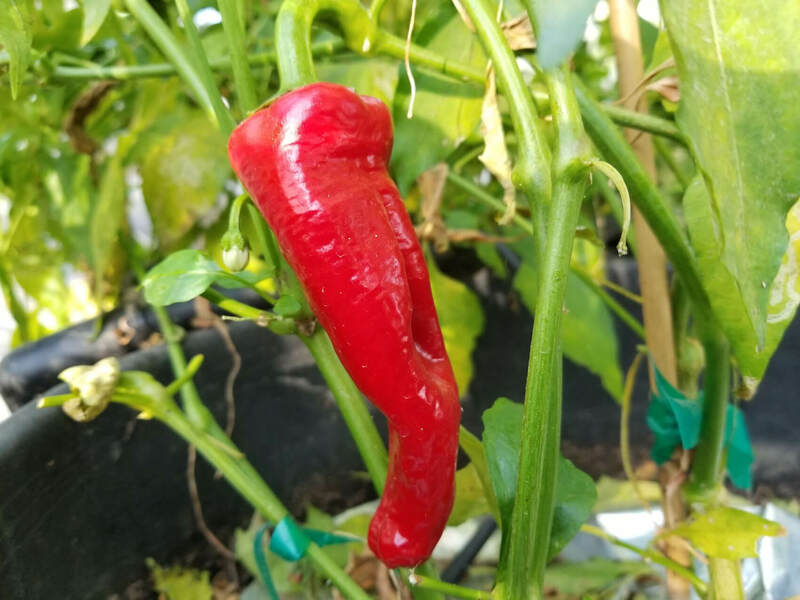 The peppers ripen from green to red and are 3 to 5 inches long. 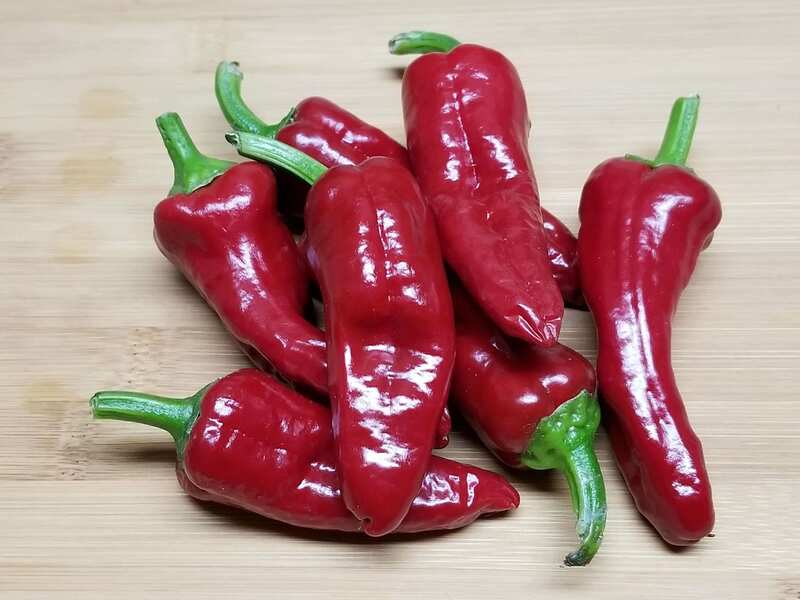 The San Pedro Sweet chile plants are very viny and will need caging or staking.